Born in Dublin in 1954, Aidan Walsh co-founded Temple Lane Studios in Temple Bar. 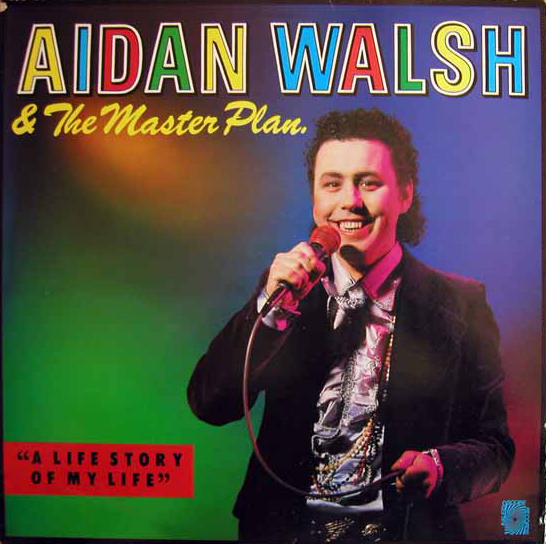 ‘Ireland’s unlikeliest pop star’ recorded his 1987 album ‘A Life Story of My Life’ with the help of Gavin Friday, Simon Carmody, as well as Guggi and other members of Carmody’s band The Golden Horde. Gavin sings backing vocals on various tracks, as does Guggi. Simon and Gavin also appear in Shimmy Marcus’s documentary Aidan Walsh: Master of the Universe (2001).